This week we’ve arrived in the small South American country of Uruguay. 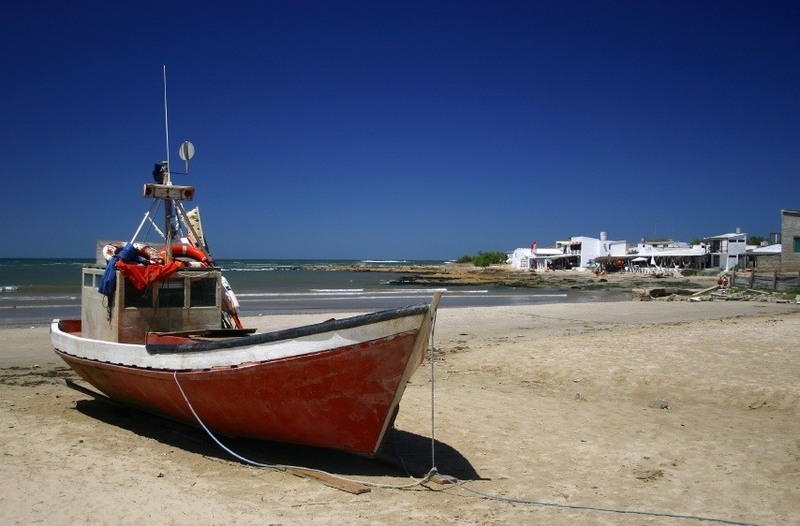 Sandwiched between Argentina and Brazil, Uruguay has its own secrets and stories. Prior to the arrival of the Portuguese in 1512, the only known tribe that inhabited Uruguay was the Charrúa – originally from Paraguay. Just four years after the Portuguese arrived, the Spanish entered the region. For many years the two powers struggled both against each other and the native population. Throw in a relative lack of mineral resources and European settlement was fairly limited. The Spanish eventually gained the upper hand, thanks in part to the introduction of lucrative cattle and the founding of Montevideo – a strategically important military stronghold. Despite a brief period of British occupation, the Spanish managed to hold the city until the early 1800’s. This ended in 1811 when José Gervasio Artigas launched a revolution against the Spanish. 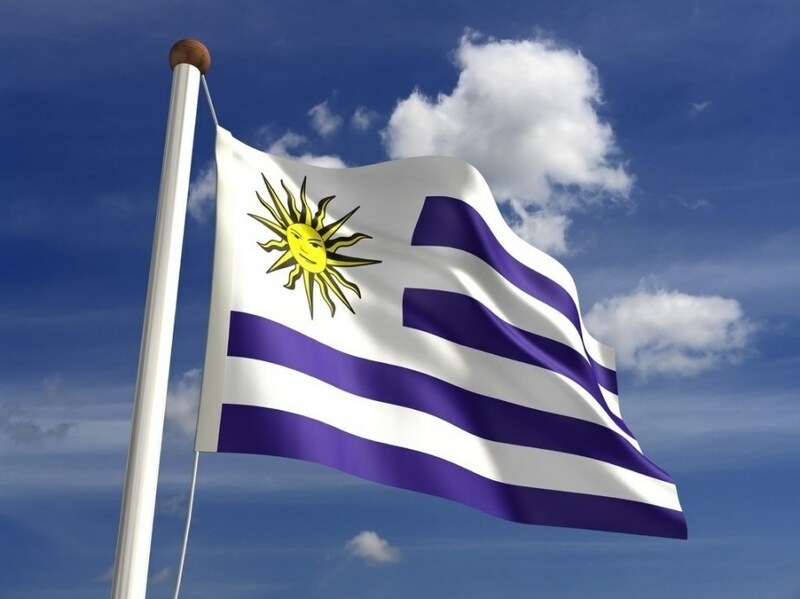 After a couple decades of conflict with the Portuguese and later Brazil – the Treaty of Montevideo was fostered by the British and saw Uruguay become an independent country. All was not well however, as the small country (population under 100,000) was soon divided between the conservative Blancos (Whites) and the liberal Colorados (Reds). With each group choosing warring sides in neighboring Argentina, the larger country invaded at the behest of the Blancos – although they failed to take the capital of Montevideo. Further interventions from the British, French, and Brazilians (the latter who were officially granted the right to intervene), eventually resulted in the defeat of Oribe (the Blancos leader). A further agreement in 1872 saw a tenuous power sharing system between the different factions. This cooperation soon gave way to a dominant military, which became the centre of an authoritarian regime for about 10 years. The late 1800’s also saw more immigration from Spain and Italy, increasing the population drastically and the economy’s strength (with livestock as a major boon). The Colorados won the presidency in 1903, however the Blancos started a bloody revolt. Government forces emerged victorious and the policy of cooperation was abandoned. The 1900’s were a mixed time for Uruguay, though not nearly as chaotic or brutal as many of its neighbours. 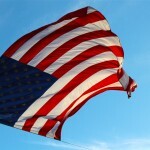 Social and economic problems were prevalent in the 30’s and the country was neutral in World War II. In addition, a military dictatorship ruled throughout parts of the 70’s and 80’s with an armed group known as the Tupamaros fighting a guerrilla campaign against them. Elections held in 1984 saw a return to democracy for Uruguay – which has lasted to this day. The presidency has changed hands between right and left wing parties, while the country has largely weathered various economic difficulties. Today, Uruguay is seen as one of the most liberal and progressive countries in the region. Much of Uruguayan culture is based on the traditions of southern Europe due to its colonial history. In addition, the ‘gaucho’ tradition has had a large impact on Uruguayan way of life and cultural works. A gaucho is generally a cattle herder in the South American grasslands – essentially a cowboy. The history of gauchos is held in high regard in the region, with music, art, and stories still popular throughout Uruguay. 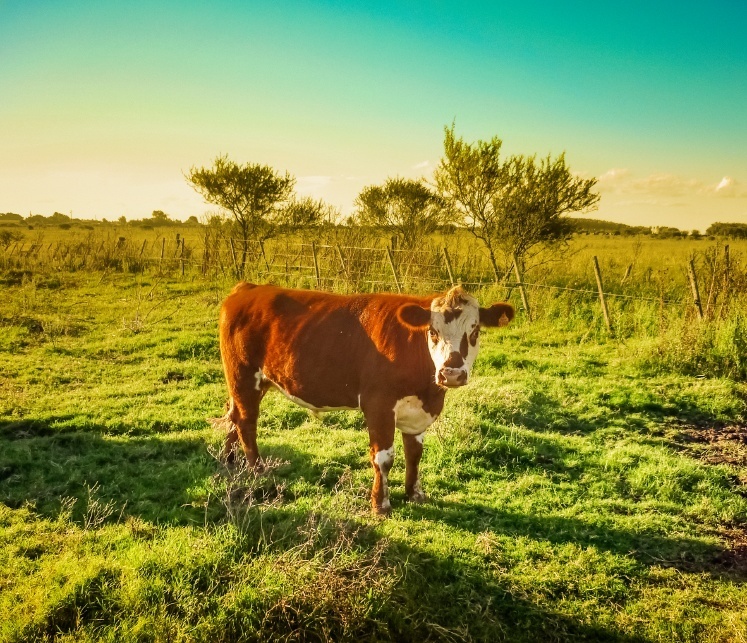 Besides its gaucho heritage, Uruguay shares many other characteristics with Argentina – including the tango and a love of beef. A chivito is a unique and popular steak sandwich regarded as one of the national dishes of the country. 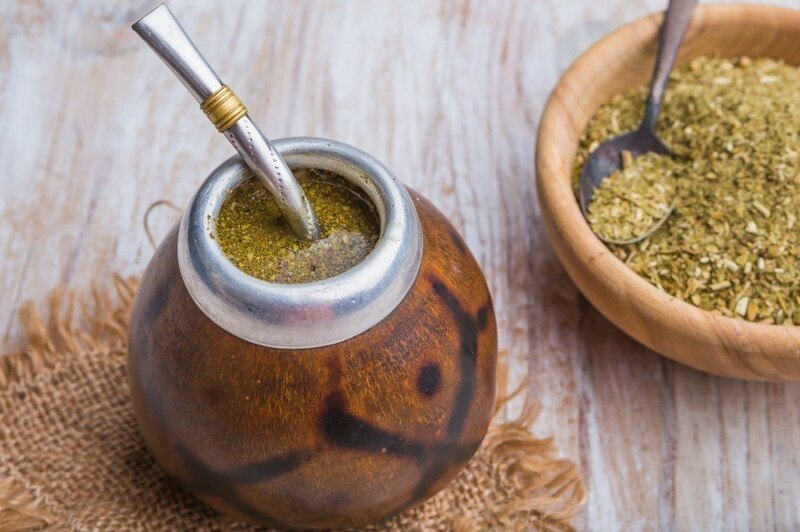 In addition, a thermos filled with yerba mate (a caffeinated, infused drink) is a part of daily life for Uruguayans. Soccer is the most popular sport in Uruguay, and the national team has enjoyed a high degree of success despite the small population. It is often regarded as the first superpower, hosting and winning the first World Cup in 1930. Perhaps even more famously, Uruguay defeated Brazil in the 1950 final in Rio de Janeiro. While the team struggled for decades, they have since emerged as one of the world’s best in recent years – finishing fourth in 2010. Players such as Luis Suárez, Edinson Cavani, and Diego Forlán are among the most well known recent stars. 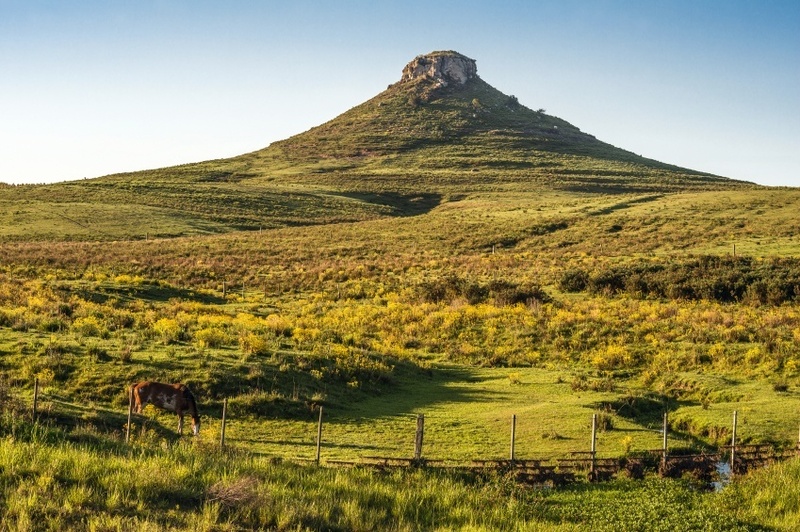 Uruguay is a fairly small country mostly consisting of fertile lowland, rolling plains, and small hills. This makes the land ideal for cattle grazing and other agricultural pursuits. 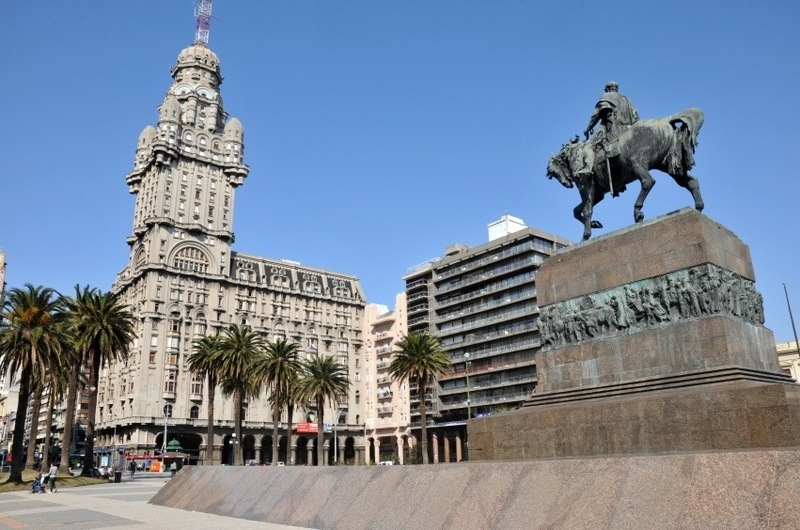 The capital of Montevideo is home to over 1.3 million people (which is about a third of the country’s population). The city has emerged as a modern, cosmopolitan centre with an emphasis on numerous high tech industries. 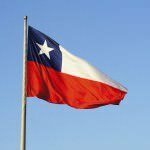 Despite a long road to full independence free of foreign intervention, Uruguay has managed to grow into a largely successful and progressive country that punches above its size on the world stage.